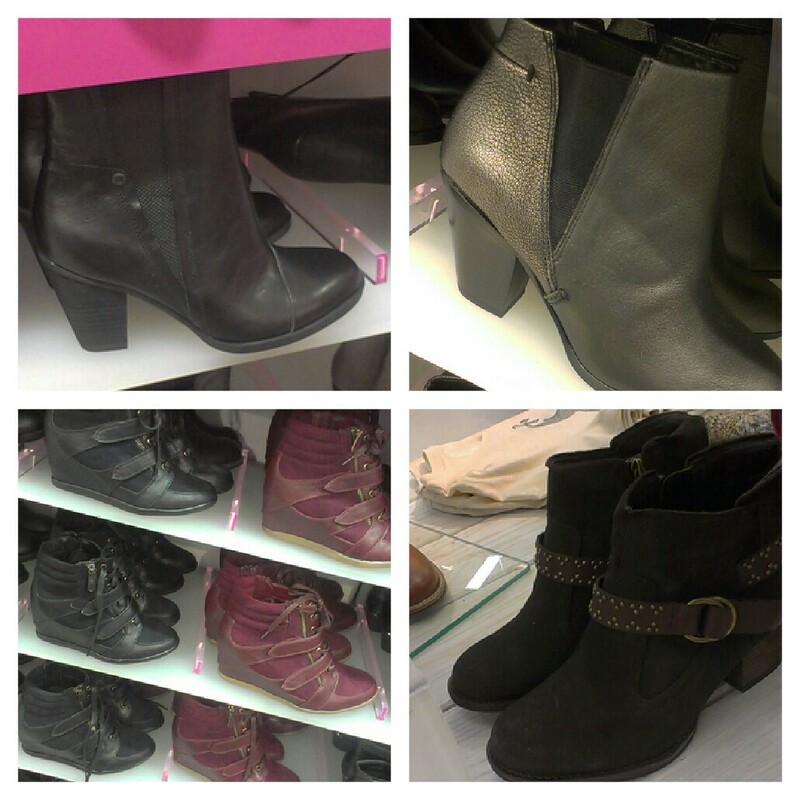 I have to stay out of M&S for a few weeks as there is just too much I want to buy! They have really gotten their act together this season, not just in certain places but right across all the brands, including Per Una. Yes, even Poor Una (as I like to call it - the unfortunate unstylish sister of the Limited Collection) has stuff you'd want to buy! 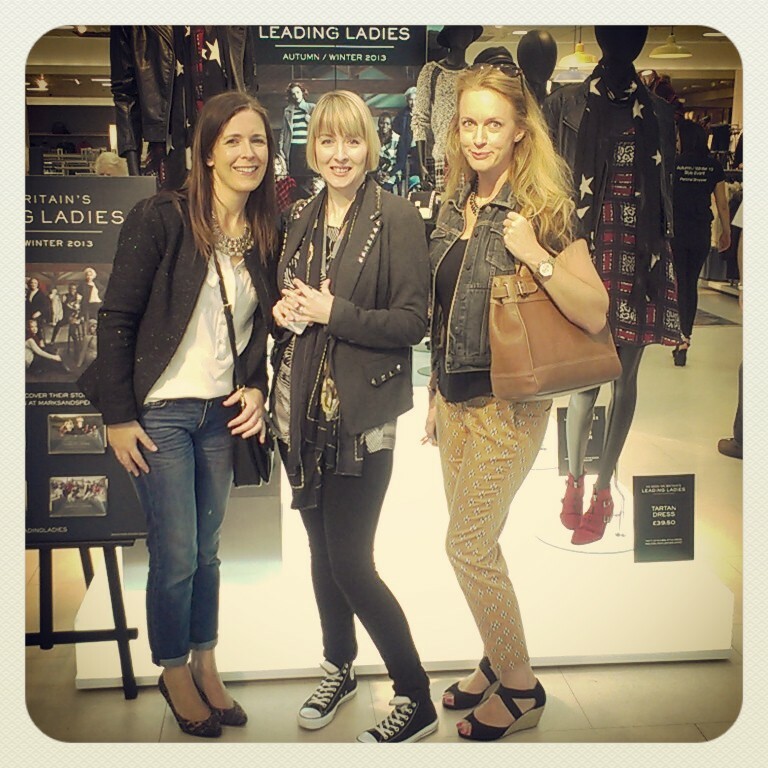 I headed there last week with a couple of blogging friends (Katrina & Nic) for a meet up and a collective browse. It's great shopping with other bloggers, especially Katrina from Sugahfix, who's a stylist too. She has such a great eye and picked out a few items that I would have walked past. But more on that in a minute - here's what I wore.. 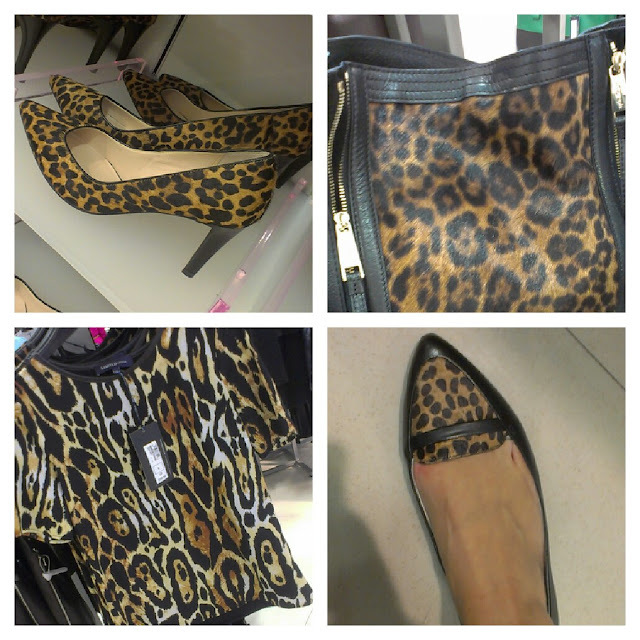 Here are my highlights from the current selection..starting with a bit of leopard. I've come right round to leopard since I got my pumps and scarf. I may add to my collection this season. Just don't wear it all at once! Zips featured heavily and the coat below was worn by Mollie King (from the Saturdays) over the weekend, making it an online sell out. 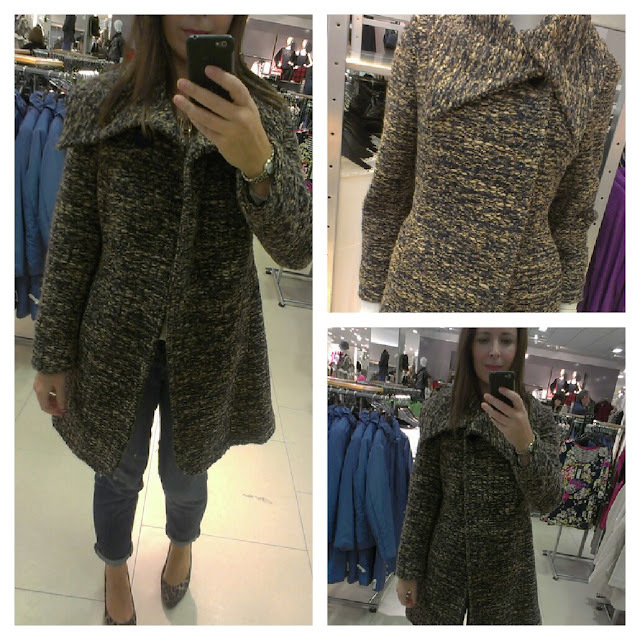 It's very similar to the Zara one from last winter but is a much better quality for the same price. The tartan dress is another great piece for those of us shy of tartan. It's a much more modern take on the trend. I could almost wear it. The pleather detail on the neckline gave it a nice edgy look. 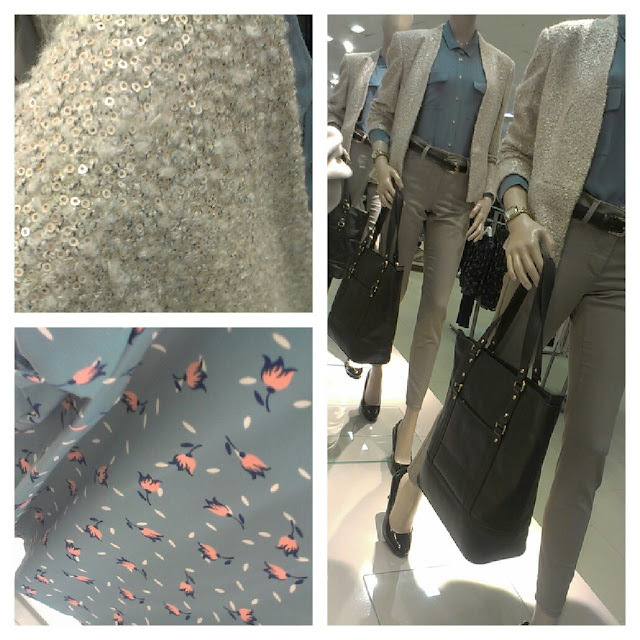 Visually, I'm loving the displays around the store - they really help you to put the outfits together. Believe it or not, I'm not that good at styling up outfits when I'm shopping. I tend to get overwhelmed by the sheer selection in big stores so I rely a lot on store merchandising. The three mannequins in a row all dressed the same pleased me greatly - I must be more OCD than I thought! 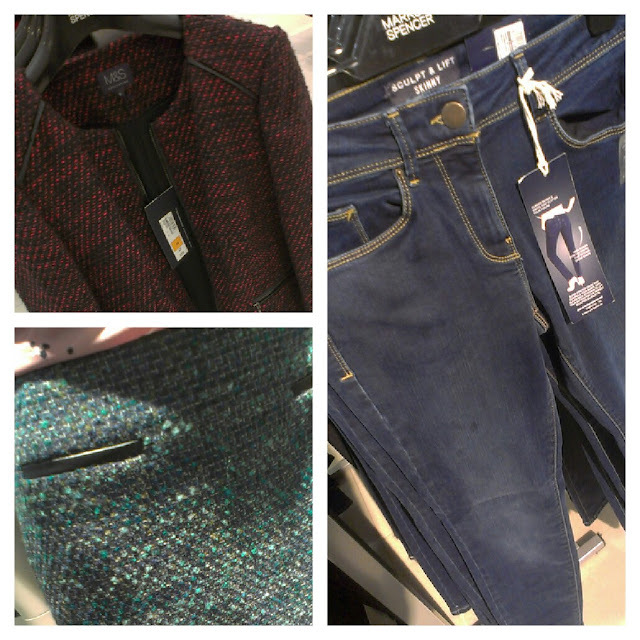 M&S Collection Sequin Jacket - beautifully merchandised! I can recommend the colour and cut of the bum-lifting skinny jeans. Again, selling out fast! The last item that I loved was this knitted, pleather sleeved cross between a jacket and a cardigan. 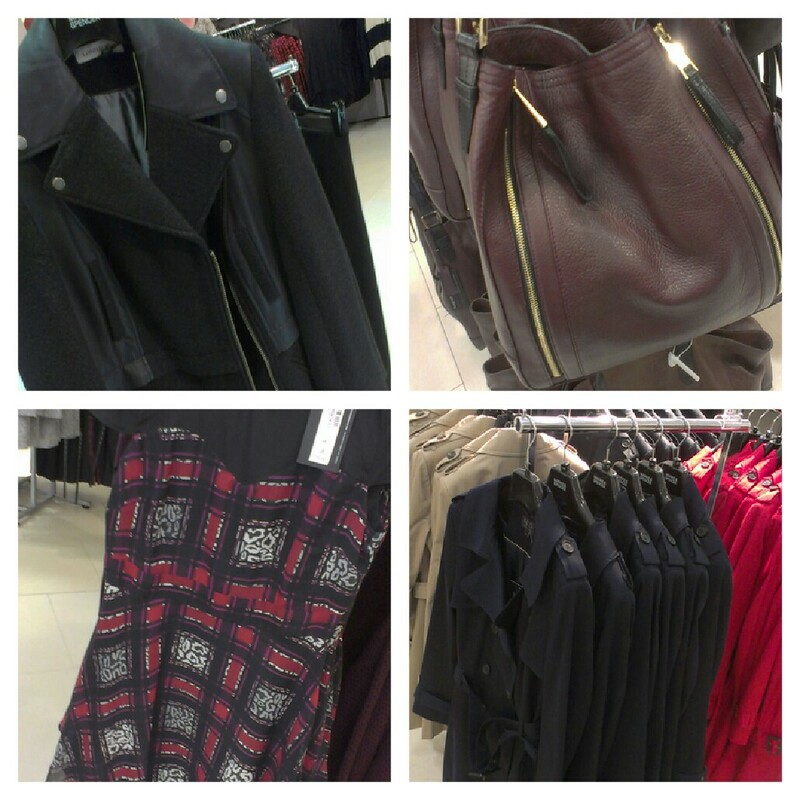 It's very Zara-esque and great for wearing now or for layering up in colder weather. It's got a knitted, mohairy style body with an asymmetric zip and pleather quilted lightweight sleeves). Looked better zipped up and was neat in fit (I needed a 12). 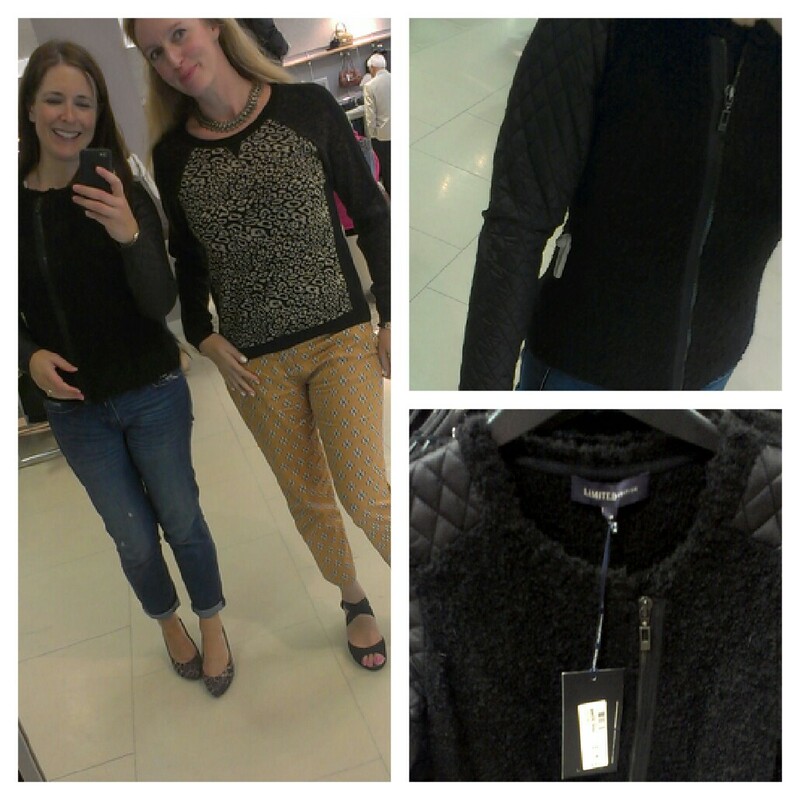 Check out Nic (Strawberry Blonde Beauty Blog) trying on a leopard knit from Limited. a lovely morning of catching up - thanks girls! I don't blame you ... I'm staying away from there as well! A pal of mine went on a spree there last week and raved about the selection. She actually got the sequin jacket that you pictured. Now enough of M&S ... SHOW US YOUR WEDGE TRAINERS!!!!!! M&S has really changed over the past month. They had a 20% off day on their website on Monday and I added lots of items into my virtual basket. I looked at the total bill and then had to do some editing to bring the bill down! Love your outfit, and that's it - I'm hitting M&S up on payday! They have done well this year haven't they - they surprised me. I don't often go in except when I want something from the food hall that I forget what good stuff they have some times especially from the Autograph and the Limited Collection range. But I still have a problem with Per Una - can't shake the frou from frills image off. I was in Dublin on Saturday morning and I was amazed at some of the stunning pieces! I even had a try on of the infamous pink coat but sadly it was huge on me:)Lovely photos Avril. That leopard bag really is totally swoony... 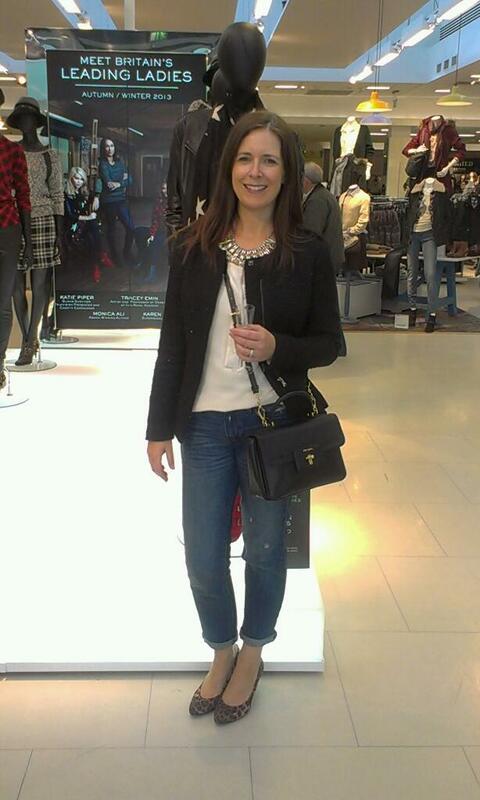 I loved shopping with you and Katrina - we must do it again soon!